Dr. Fred Ku received his BBA and PhD degrees from the Hong Kong University of Science and Technology. He joined the Department of Decision Sciences and Managerial Economics at The Chinese University of Hong Kong (CUHK) Business School in 2009 and is now a Senior Lecturer. His research areas include Industrial Organisation and Business Strategy. He teaches a variety of economics and statistics courses in MBA, MAcc, and undergraduate programmes, and was the recipient of CUHK Vice-Chancellor’s Exemplary Teaching Award 2013. He is appointed as Co-director of Integrated BBA programme and serves in various committees in CUHK Business School. 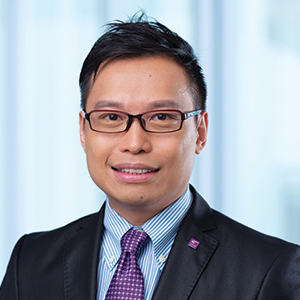 Since 2013, he has also been appointed as Associate Director of Programme for Economic Education, Economic Research Centre, Hong Kong Institute of Asia-Pacific Studies, CUHK. He has led and participated in various teaching and learning projects, published books and teaching cases, conducted professional seminars and training workshops.